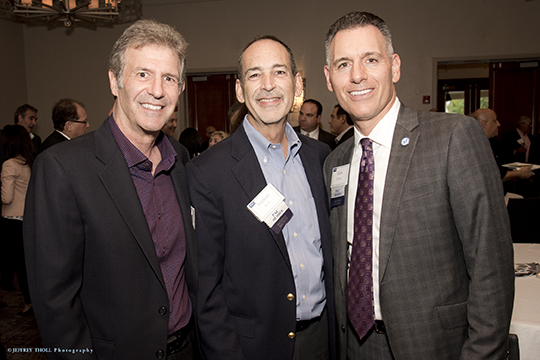 PAC kicked off its season on September 28 with a membership drive during an evening out at the Renaissance Boca Raton Hotel. Close to 75 people came to enjoy delicious cocktails and hors d’oeuvres, mingle and network with friends, and welcome new members to PAC. The event was chaired by Michael Shapiro, together with Vice Chair Josh Calisti and PAC Chair Brian Singer. Thank you to our generous event sponsors: Greenspoon Marder, MBAF, Proskauer, Rehmann, Steinberg Global Asset Management, Ltd., and our in-kind sponsor, Southern Glazer’s Wine & Spirits. PAC, the Professional Advisory Committee, is a division of the Jacobson Jewish Community Foundation of the Jewish Federation of South Palm Beach County. PAC brings together those working in the field of estate planning, including attorneys, insurance experts, accountants, planned giving professionals and wealth managers. For more information, please contact Lisbeth Rock at 561.852.3188 or lisbethc@bocafed.org.